Using a new media editing program - so please excuse the crappy photography. Passover starts tonight. I could write a whole book about why I love Passover. All my good memories and how it combines food and loved ones. I could try to describe the warm glow I get in my heart when I look out over a table of friends drinking Cherry Manischewitz mixed with Kosher Coke and how sad I am that we aren't going to be able to host our annual Secular Sedar this year. We have about 2 weeks left in Norfolk, VA - the city where I met my husband and found an unexpected home. It would have meant a lot to me to make it work but it just won't... BUT I can share with you some of my very favorite recipes and what I might have served if the world had spun a little differently. Every year I make a 2 big pots of Matzah Ball Soup for our Sedar. You might have seen it on the Peta2 blog before. Even if you're not celebrating Moses freeing the slaves - you should make a pot because it's so good. I plan on making a big pot as soon as we move into our new place in Brooklyn just to make the place a bit more like home. If you are one of the lucky ones sitting down to a sedar tonight, I hope you take a shot at that soup and if you need any suggestions for your compassionate sedar plate you can click here. Last year, I posted a Sweet Potato Kugel recipe that was an adaptation of a not so vegan Bubbie recipe that I personally love because let's face it - sweet potatoes are awesome. But this year, I'll also share 2 other recipes that are actually adaptions of recipes I found in Real Simple magazine. The charoset recipe below is one of those and is a bit more classy and special than just going with apple sauce. Plus if you have any leftover - it makes for a great breakfast. You might remember awhile ago when I talked about how Italian gals are taught the importance of a good cutlet... I think if you're trying to find a Jewish equivalent it would be a brisket so tender it melts. Trying to make a vegan version of that can be a bit tricky because mock meat can melt pretty much on it's own. These beef-less brisket bites are very tender without getting spongy and end up having an extremely unique flavor that is not quite like a BBQ sauce or like a mole... but something different and really delicious. Now I have to say that Gardien isn't Kosher or least certified so I can't tell you that this brisket meets all your Kosher for passover needs. In fact, as you probably have figured out from the fact my mom's Sicilian and I married a nice Irish boy... I'm not a stickler for keeping Kosher but I love my Jewish heritage nonetheless and have found a place for us. In your brave little slow cooker, mix Leeks, Potatoes, Carrots, 1/4 Cup Olive Oil, Red Wine and Braggs and cook on high for 2 hours. In a small bowl, mix Coffee, Tomato Paste, Worcestershire Sauce and Brown Sugar with a whisk until your Sugar has dissolved. Brush your defrosted Gardein with 2 Tablespoons of Olive Oil. Put your Gardein in your slow cooker on top of the Vegetables - don't mix them in and pour your Coffee Sauce over over the top and cook for another hour. With a ladle, move your Gardein and Vegetables from your slow cooker into a glass baking dish. Bake for 30 to 40 minutes or until the top begins to brown. Then turn your oven down to 200 and cook for another 20 to 30 minutes. remove from the oven once your sauce has reduced to saucy gravy. Let cool for 5 minutes before serving with the chopped Parsley over the top. Combine Raisins and Orange Juice in a saucepan; simmer over medium-low heat until most of the liquid is gone. The original recipe says it should take about 5 minutes but it took me around 10 minutes. Let cool, then stir in Wine, Agave Nectar, Lemon Zest, Cinnamon, and Cayenne Pepper. 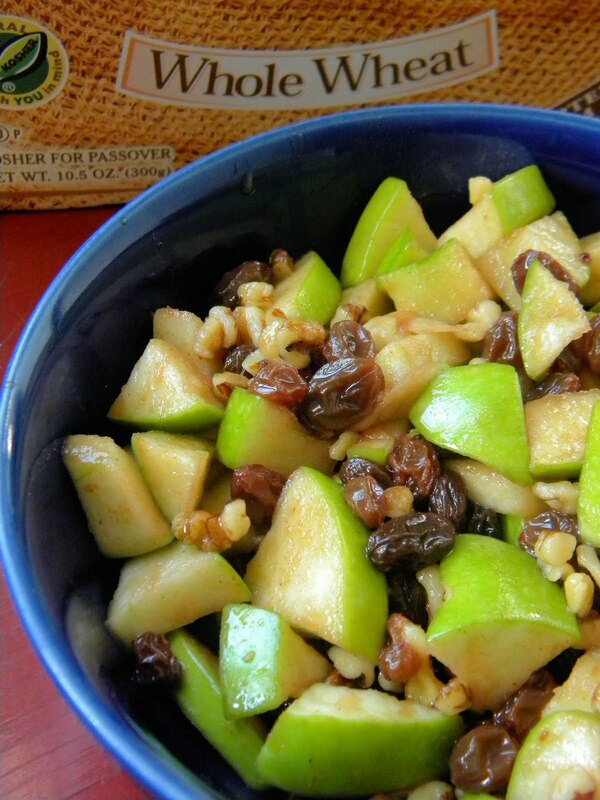 In a large bowl, combine Apples and Walnuts with Raisin mixture and toss to combine. Cover and chill in the refrigerator for at around 4 hours. 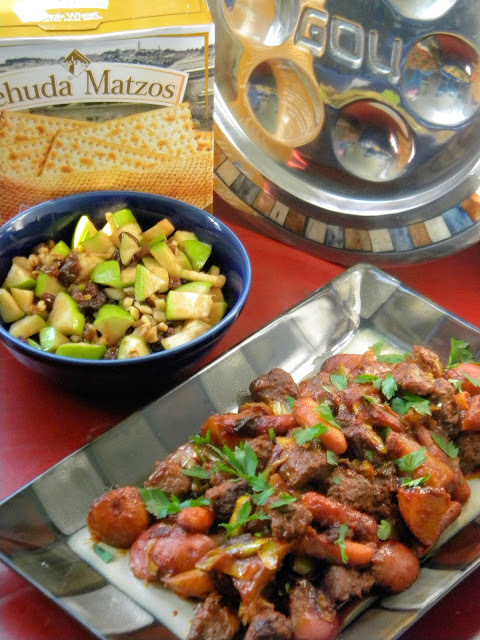 Serve with some Matzoh and a lot of Chutzpah! BRISKET!!!!!!!!!!!!!!!!!!!! Now I just need some vegan matzo brei and matzo farfel! 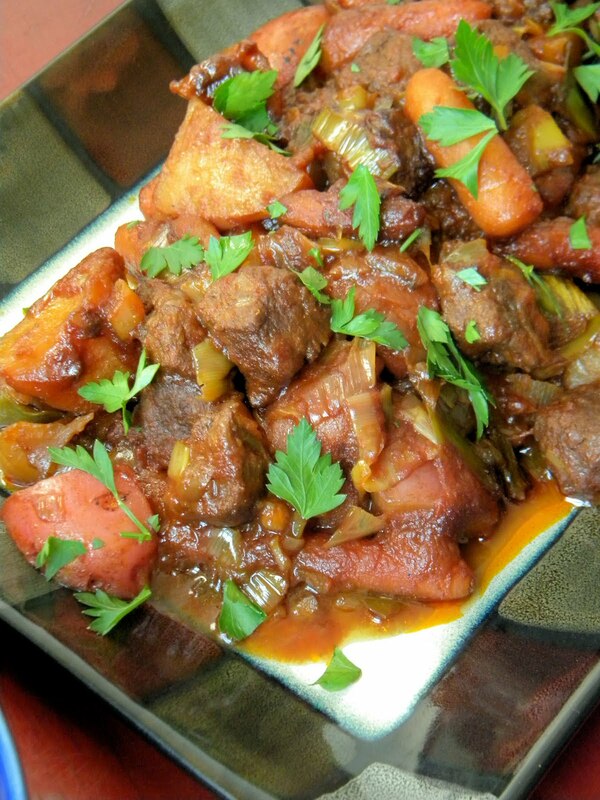 I've never cooked my charoseth; I had no idea! Actually, I'm very disappointed. Not certified kosher is one thing. Many kosher vegans are relaxed about certification when the products are certified vegan. But WHEAT GLUTEN!!!! 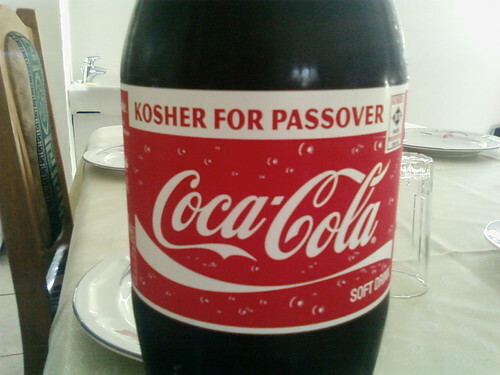 Totally not kosher for Passover in any way shape or form. As a kosher vegan who manages to remain vegan during Passover with a lot of planning and searching for appropriate recipes, I would have loved to have found something truly useful. As it is, with all due respect, your suggestion not only useless, it's totally inappropriate. I hope next year you'll manage to find something those of us who respect the Holiday and its traditions can use. Was the wheat gluten removed from the recipe? I don't see it anywhere. What was it replaced with? Any special suggestions for doing the brisket without the veggies? I was thinking about adding the "meat" part to our Easter dinner. Half the family is vegetarian or vegan, so there are already lots of vegan side dishes in the works, including potatoes & carrots. I'd like to add something more and this looked interesting. And good for you for find a happy place for you and your family with the blending of traditions! Guess you can say this menu is "Jew-ish"!! Nava Atlas has a recipe on her site and in her newest book for matzo brie and matzo balls without the tofu. I don't know what she uses instead, but I know she suggests quinoa flakes to keep it kosher for passover. I'm not Jewish but when I seen this I so much wanted to make it. It was excellent and very tasty. I made some changes because I didn't have all the ingredients like tomato sauce instead of tomato paste, veggy broth instead of the wine and left out the worchestershire. We had it with home-made bread. Thanks. It's a keeper.